Enhance the look of your bathroom with the help of Italia. Known for our exceptional quality, affordable prices, and easy disc mounting installation, we’ve taken the guesswork out of choosing the right bathroom accessory. 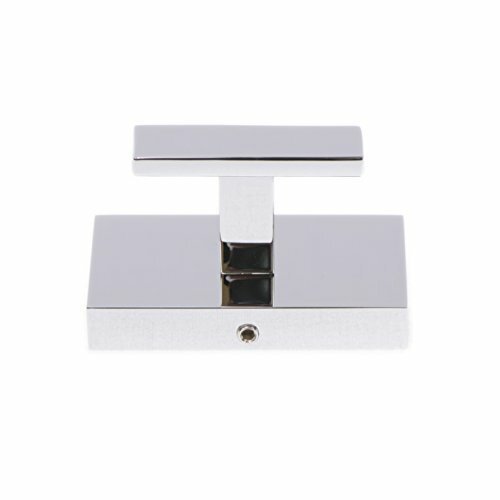 The Genoa Series robe hook offers a contemporary rectangular back plate and is finished in a beautiful polished chrome, adding the perfect touch to any bathroom. Add the Genoa towel bar, towel ring, and paper holder to complete the set! Product Back to Front Depth: 1.66 in. Overall Product Height: 1.58 in.